I’m a BzzAgent, which basically means once in a while I get to try out new products or services and tell people what I think. It’s pretty fun, and I have discovered some pretty cool things, such as Cellphone Postcards. 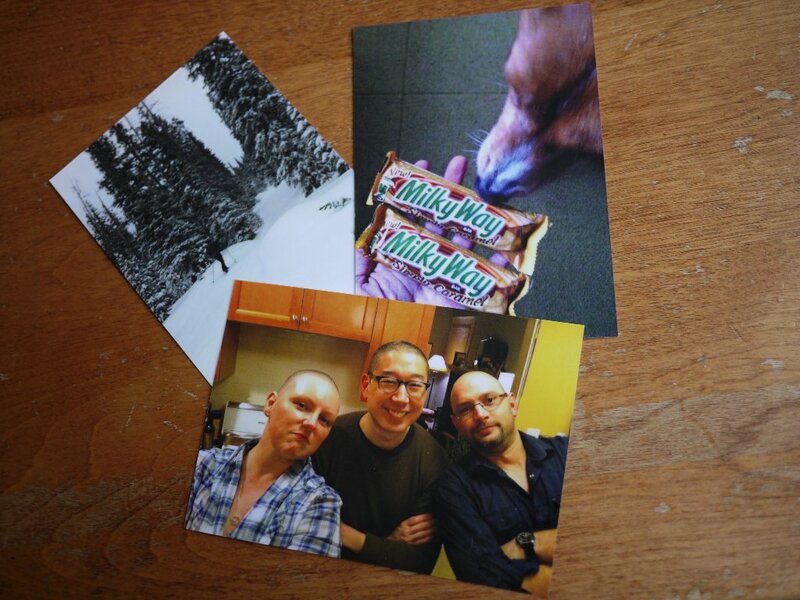 This service lets you send your cell phone photos as postcards, which is a pretty genius idea. I don’t carry a camera around with me, but I usually have my iPhone, and I love to take photos with it. What better way to share those photos? Yeah, I know you can e-mail them or stick them on flickr or twitter or whatever, but getting a copy in the mail with a personal note is hard to beat. To be honest, I was a bit skeptical at first. I thought the quality would be kind of cheesy, but I was pleasantly surprised. The postcards are sturdy and shiny and fun. The service is easy to use, and I think 99 cents per card is a good deal. I am definitely going to keep using this service! Please note that I am not getting paid to talk about how great Cellphone Postcards or BzzAgent are. In fact, I think I missed the deadline to “report” my “bzz” back to BzzAgent, so I am not scoring any points for talking up this service. For realz. that sounds really cool! Neat idea! I wish my BlackBerry took as nice photos as the iPhones do. I LOVE THESE. For realz. Why isn’t there a “like” option for that comment? I tried cellphone postcards and love them! The quality is great, and the price is right. My only complaint would be that they are not delivered very quickly, but since I am not delivering nuclear secrets but instead just amusing photos to my family it’s not much of a complaint.